Pallet rack damage that is determined significant enough to compromise the integrity of the system requires repair… that is something we can all agree upon. 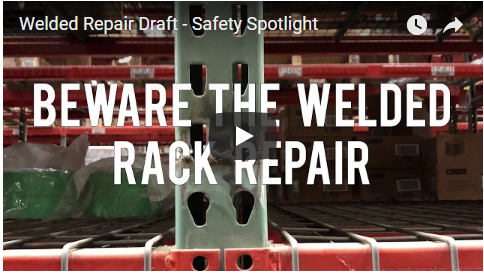 We should also agree that when it comes to the actual pallet rack repair there is one definitive solution… and that’s a custom bolt-on repair kit. While it may seem faster, cheaper and easier to simply weld the tear and move on, there are several important reasons why that is the wrong way to proceed. A welded pallet rack repair, even by an expert welder is a risk that is simply not worth taking. Once the rack has been modified, it is no longer guaranteed by the manufacturer for the load ratings previously specified. Why is that? Simply put, it is very difficult to fully penetrate the weld and even if you do, repairing the steel through welding decreases the capacity of the rack. But don’t take our word for it. The Apex PRO’s audit team recently brought along an independent structural engineer who specializes in welds to a number of scheduled pallet rack system audits. Despite the fact that many of the welded repairs we encountered were completed by skilled welders who legitimately did good work, the expert’s opinion was that 99% of the existing welds were insufficient and would have to be replaced with bolt-on repair kits to be totally safe. And that there is the goal. 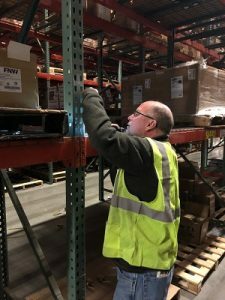 Unless the pallet rack repair is deemed totally safe, all of liability in the case of a system failure shifts from the rack manufacturer to the facility. There is simply no good reason to risk the safety of your system, your employees, your equipment and your business when a customized, easy to obtain solution is available. Safe, “healthy” rack is a key component in warehouse optimization. 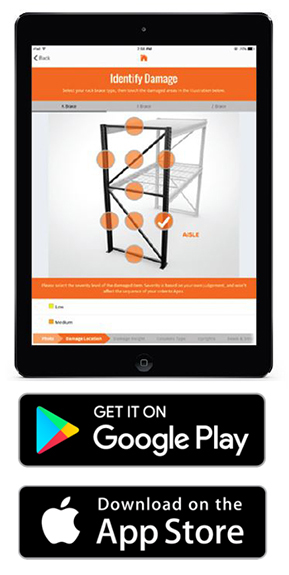 The Apex Rack Repair Mobile App is here to help. Download the FREE app today, call our expert team, or visit our website for more information.